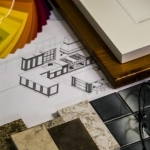 Is your St. Louis home in need of a little remodeling? 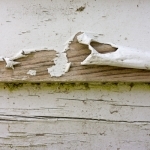 Have you considered replacing the siding? Money is always a factor when remodeling comes into view or question and there’s no getting around spending money to upgrade your home. But fortunately, you can actually save a lot of money by hiring the right contractor. After all, your home’s siding in St. Louis is there for a reason; not just for looks. St. Louis is known for its variety of weather conditions and temperatures all year long; the bitter cold winters are definitely hard to ignore. Your siding can provide superior protection and insulation against these unfavorable outdoor elements. Your home will not perform as well when using low-grade materials or if the siding was installed incorrectly. You might be cold during the winter and hot during the summer; but proper insulation and correct installation can change that! Nowadays people seem to be paying more attention to who they hire for certain services, including services that affect one’s family and safety. If you’re looking to replace your siding and want an expert to handle the job for you, call Lakeside Exteriors today. 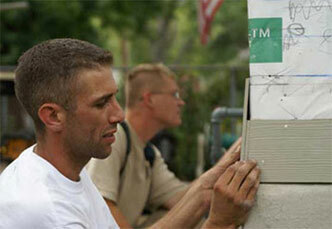 We’re a reputable siding contractor, proudly serving St. Louis for more than 16 years. Our most popular siding option is James Hardie fiber cement siding, however our professionals will help you determine the idea siding option for your own home and needs. We Received Angie’s List 2013 Super Service Award in the Siding, Doors and Windows Categories. We Maintain our Customer Approval Rating of 97%. When you hire us for your new siding installation you can be assured that our materials and products, in addition to the warranties provided with your purchase, are supported by their manufacturers. We don’t represent manufacturers that aren’t top of the line and preferred by customers everywhere. You’re aware of the importance (and benefits) that come with hiring a reputable contractor to replace and install your siding. Our highly experienced team offers the best materials, like James Hardie siding, and takes pride in offering quality installation services as well. We know what it’s like to spend time and money on a project that isn’t done correctly and the frustration that follows such a discovery. Reinforcement and replacement projects are on our high priority scale and really should be completed by qualified, reliable workers; second-rate contractors just don’t match up. Call Lakeside Exteriors today if you’re looking for a St. Louis siding contractor; you’ll receive affordable, reliable, quality service every time!